This is the lovely Andrea. She is celebrating her quinceañera next weekend and we had the privilege of creating some portraits for her big day. She braved the weather at the Rose Garden in Allentown, PA despite the chilly breeze. Below are some of our favorite moments from her session. This past weekend we celebrated the night away with Emily and Junior at their downtown Allentown wedding at the Fegley’s Allentown Brew Works on Hamilton street. The modern venue of the High Gravity room was the perfect backdrop for this winter wedding. DJ Mantekilla kept the floor full with the correct mix of new and old songs. Below are some highlights from the day. Amneris is an up and coming teen model with aspirations to win Miss Universe. At only 15 years of age she has the right look and attitude to take her wherever her dreams decide. Her main focus right now is the Miss Philadelphia Outstanding Teen 2019 and the Puerto Rican Preservation Corporation’s Leadership Coronation of the Lehigh Valley. Below are some of the images we created for her during her indoor/outdoor session in Downtown Allentown, PA.
Lyla’s blue and gold Sweet 16 at the lovely Palace center in Allentown, PA was beautiful. From her sweet 16 dress in all blue to the amazing blue and white cake the celebration was picture perfect. Below are some of our favorite Sweet 16 photos we created for her and her family for this important milestone. Are you planning a sweet 16 this year? If so Garcia Photography specializes in sweet 16 photography with experience documenting the getting ready, formal sweet 16 photos at a park, sweet 16 photos at the church and sweet 16 party photography. Our photography collections include options for Heirloom Quince Albums, Artwork and more. And we speak spanish. 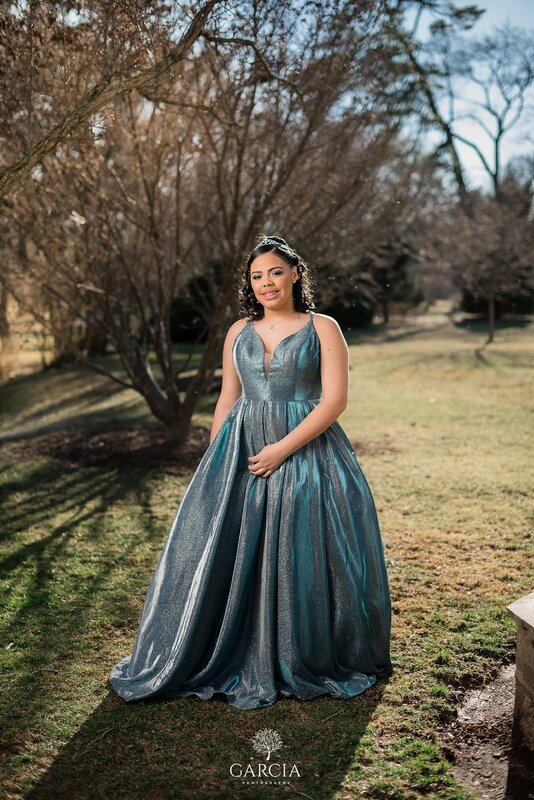 On November 17, 2019 we celebrated with Nichole for her Quinceañera and her family at the Eastonian located in Easton, PA. The room was decorated beautifully in pink and gold with touches of a masquerade ball theme. The cake and treat table was an amazing spread of sweets, candies, cake lollipops, cupcakes and so much more. From the details to the dancing below you can see some of our quinceañera photography that we captured for Nichole and her family at this important milestone of her life. Are you planning a quinceañera this year? If so Garcia Photography specializes in Quinceañera photography with experience documenting the getting ready, formal quince photos at a park, quince photos at the church and quince party photography. Our photography collections include options for Heirloom Quince Albums, Artwork and more. And we speak spanish.